1. Melt almond bark in a microwave safe bowl in 90 second increments, stirring after each one. Do this until chocolate is completely smooth. 2. Carefully roll each cookie in the melted chocolate until it is totally covered. If any places get uncovered when you lift them, you can use the back of a spatula to recover the holes. 3. Place each cookie onto a baking sheet lined with parchment paper or aluminum foil. 4. 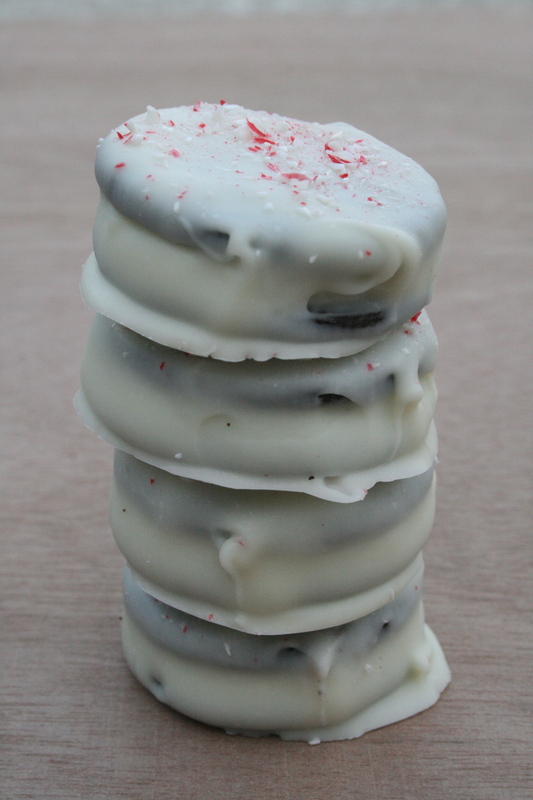 Sprinkle peppermint evenly onto the top of each cookie. 5. Refrigerate cookies for 1 hour, or until the white chocolate is solid. 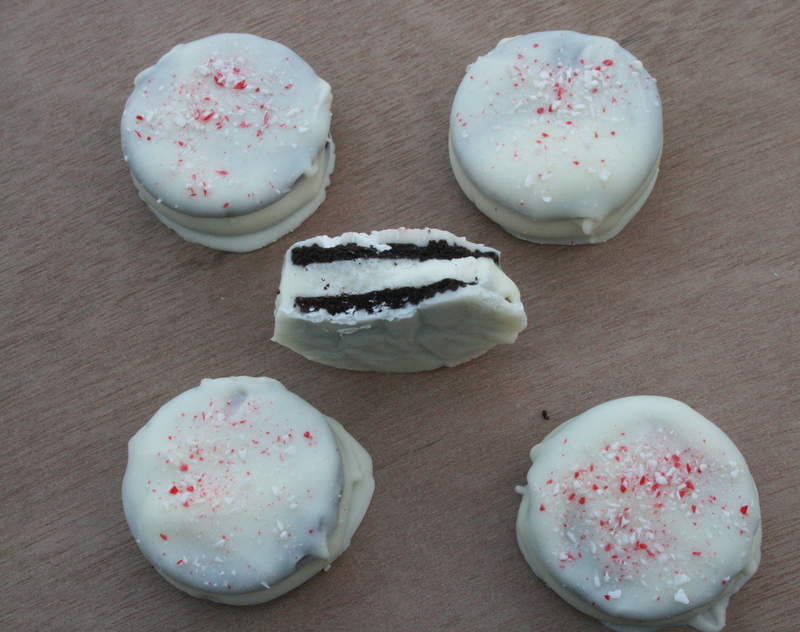 This entry was posted in Desserts and tagged cookie, oreo, peppermint, white chocolate. Bookmark the permalink. Oooooooh. I love peppermint. That’s for making me drool.